Georgia, James and Ira are playing a handful of shows in September and I'm here to remind you about them should you find yourself in the vicinity. After a victorious weekend playing at Reading and Leeds festival, Savages announce their biggest London show yet at the 02 Academy Brixton on 25th November, and another show at Norwich's Nick Rayns venue on 23rd November, to celebrate an outstanding year following the release of their second album Adore Life in January, which is also nominated for this year's Mercury Prize. Tickets for these shows go on general sale this Friday 2nd September at 9am (BST). 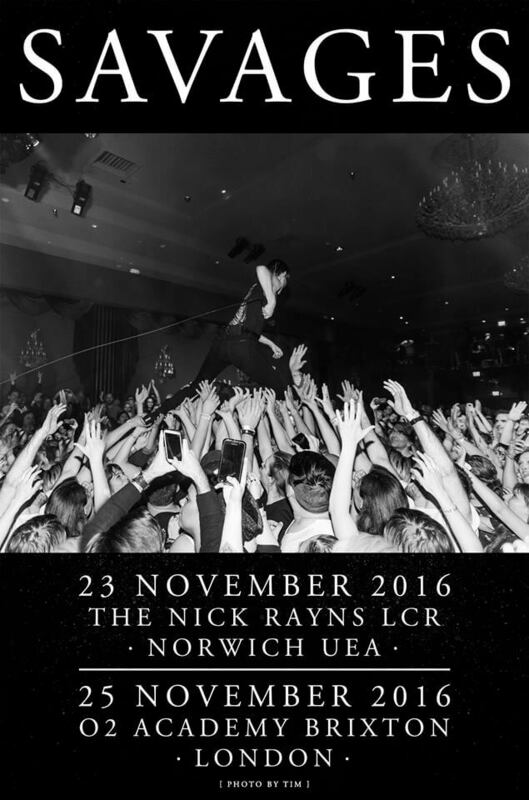 Link for the London show here, and for Norwich here. 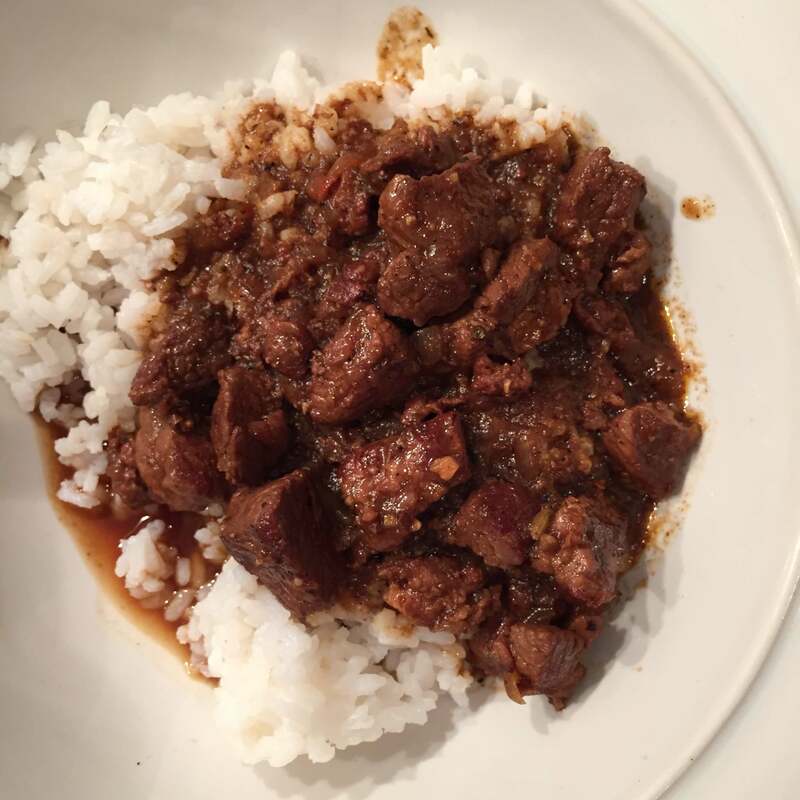 I normally make Texas red chili with beef, but decided I wanted a change. Dry-roast the chiles in the microwave in 15-second bursts until dry and fragrant, about 30 seconds for each batch of chiles. Remove seeds and pith, place into a saucepan, add water to cover, and bring to boil. Simmer until soft, about 10 minutes. Allow to cool, place in blender, and blend / pulse until smooth. Chili paste will keep in refrigerator for several weeks, or in the freezer for up to a year. Preheat oven to 310 degrees F.
Dry the lamb thoroughly with paper towels and salt it. Prepare the chopped vegetables. Put one tablespoon oil in a cast-iron skillet. Soften the onion over medium heat, about 5 minutes. Add garlic and continue to saute for 2 minutes. Remove to a bowl and wipe pan clean. Add another tablespoon oil and raise heat to high. When about to smoke, add the crumbled sausage meat. Brown thoroughly, mashing with a slotted spoon. Scrape it off and brown the other side, which will go faster. Lift it out with the slotted spoon and add it to the bowl with the onions and garlic. Add another tablespoon oil (or less if there is enough rendered fat from the sausage), and when it is close to smoking, start browning the lamb in batches. The meat must has plenty of room to brown. Allow a deep brown crust to form before turning, about 3-4 minutes. Second side will go faster. Don't worry about browning the meat all over - a little pink showing is good. You will probably have to add a little more oil before each batch. You will probably have 6 batches of lamb. Remove each batch to the onion bowl with a slotted spoon before adding the next one. There should be plenty of sausage and lamb stuck to the bottom of the pan by the end of this process. Add the chopped hot cherry pepper and saute, stirring constantly, until fragrant and soft - 1-2 minutes. Add about half the beer and bring to a boil, scraping and stirring the stuck pieces with a wooden paddle or your spoon. Reduce and pour into the bowl of other ingredients. Repeat (you might not end up using the entire beer). Put the contents of the bowl into a dutch oven and add the chili paste, the chile de arbol, the ground cumin, a generous grind of black pepper, and the tomato paste. Add water to cover and mix thoroughly. Bring to a boil over high heat, and as soon as it is boiling, place it in the preheated oven with the lid on halfway. Cook for 1 hour, checking periodically that it is simmering but not boiling. Adjust temperature if necessary. Taste, adjusting for salt. Cook for another 20 minutes. If meat is not tender, cook for longer. For those of you would did not 1) have access to cable 2) stay up past 11:35pm EST last night - YOU'RE IN LUCK. Below you can watch the network television debut from Car Seat Headrest. Will, Andrew, Ethan and Seth performed "Fill In The Blank" and for Stephen Colbert and a studio audience. FYI - The band will be back on tour in starting August 30th in Boise, ID. 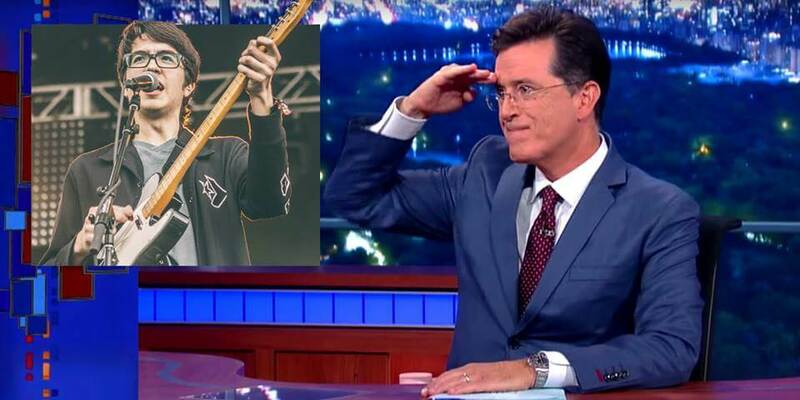 Tonight : Car Seat Headrest on CBS' "The Late Show With Stephen Colbert"
Car Seat Headrest's national TV debut takes place tonight on CBS' "The Late Show With Stephen Colbert" (11:35 eastern, 10:35 central - check your local listings here). Barring some sort of grid failure / disaster of Crispin Glover-face-kicking-proportions, we'll have a clip of said performance here tomorrow am. Tonight's other guests include Vice Presidential hopeful/Replacements fan Tim Kaine and thespian powerhouse Tony Hale. 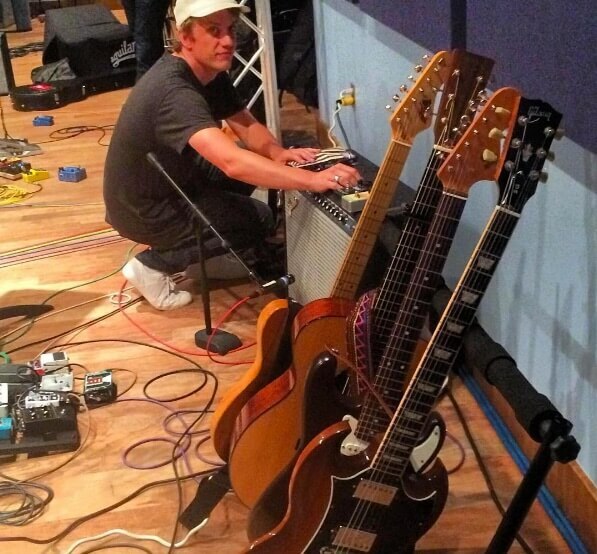 Steve Gunn and The Outliners can be heard tomorrow afternoon at 2pm eastern (11am pacific), in session for WXPN's "World Cafe". Tune in via your local NPR affiliate or listen online via XPN.org. The program will be available for streaming on-demand later Tuesday over at WorldCafe.NPR.org. LISTEN: BELLE AND SEBASTIAN "OLYMPIC VILLAGE, 6AM"
The stars of track and field are beautiful people. You may be familiar with a sporting event by the name of the Olympic Games, which is taking place in Rio this year. To coincide with this, Belle and Sebastian have released a song "Olympic Village, 6am" in video-only format as the track and field events commence today. "Belle and Sebastian dig the Olympics, love the Olympic ideal, love that the world gets together for a big 'sports day' once every four years. We can't be part of it, though we'd like to be. So we recorded a piece of music with Rio in mind, specifically the Track and Field. Here it is: ‘Olympic Village, 6AM’." You can listen to the track and watch the video here. 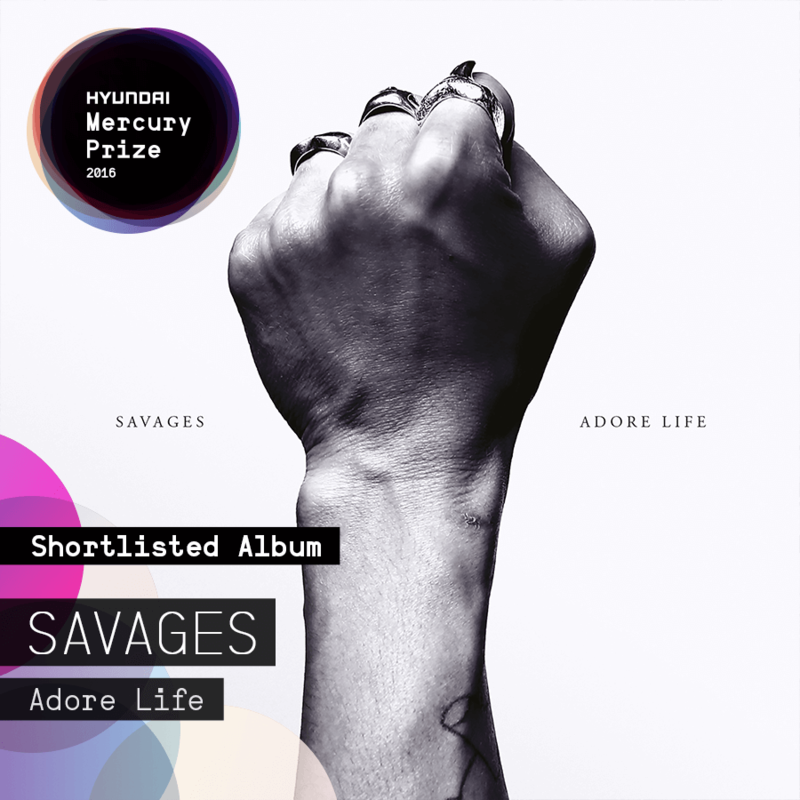 Savages' second album Adore Life, released in January of this year, has been nominated for this year's Hyundai Mercury Prize, after their first album Silence Yourself was also nominated for the prize back in 2013. 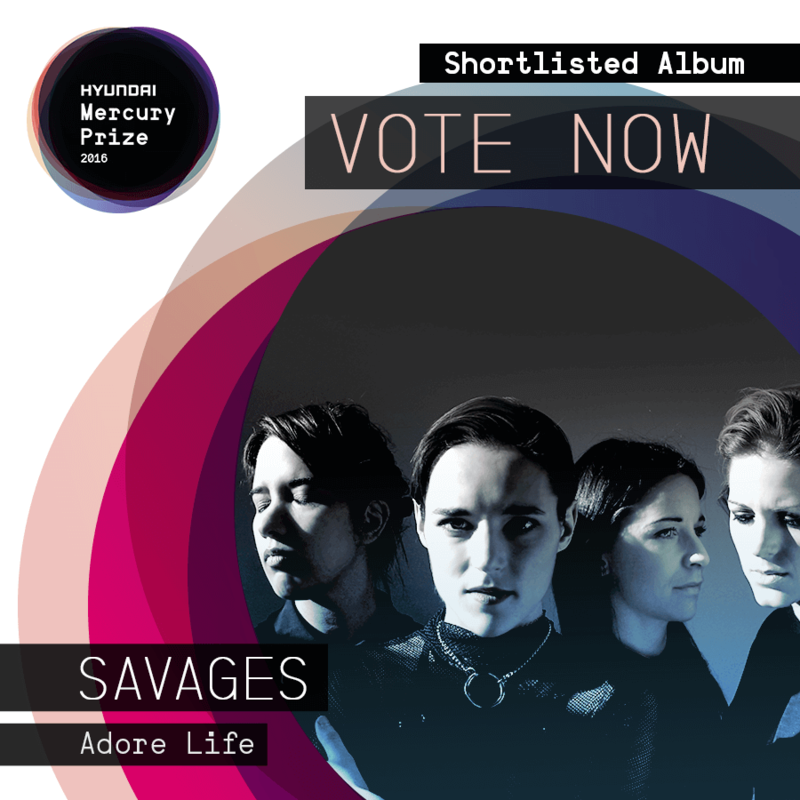 The public are invited to vote online at the Mercury Prize website. Voting opens at 12pm (GMT) on Thursday 4th August and closes at 11:59pm (GMT) on Friday 12th August. Get your votes in people! The band are currently on their way back to European soil to play a series of festival dates shortly after supporting LCD Soundsystem at Red Rocks Amphitheater in Colorado. All dates are below. Watch (please) : Lucy Dacus Performing On CBS This Morning's "Saturday Sessions"
"I Don't Wanna Be Funny Anymore"
As tipped in this space the other day, Lucy Dacus and band made their national TV debut early Saturday AM on "CBS This Morning"'s "Saturday Sessions" segment. 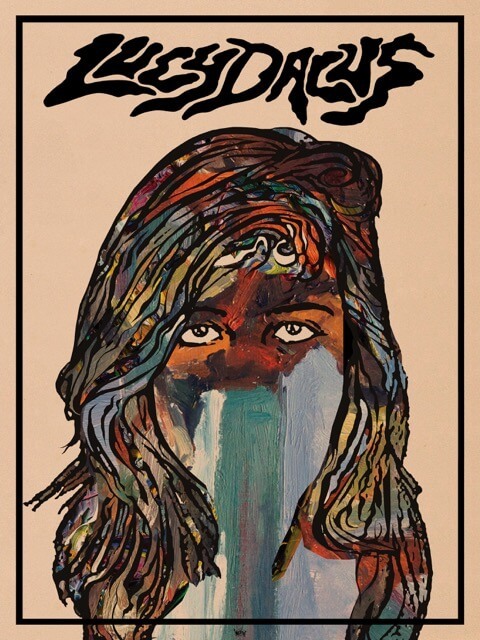 All 3 songs can be found on Lucy's debut album, 'No Burden', available for streaming or download at this very moment but is also available for preorder on LP and CD from the Matador Store. The physical versions are out September 9 and said preorders come with a signed poster (see below).